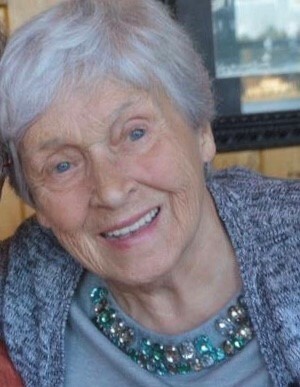 On March 27, 2019, the beloved Jean Dorothy Sharp left her earthly home to be with her Lord and family in heaven. Jean enhanced the lives of her friends and our family for over 87 years. She was welcomed to heaven by her parents, Clyde Sr. and Dorothy Rennie, as well her beloved husband, James Albert Sharp Sr., and her grandson, Danny Lee Bragg Jr.
Jean remains in the hearts of those who will continue her legacy including her siblings, Clyde Rennie Jr. and Lenore Wing and her seven children: Michael Sharp, Delores (John) Jakobson, Jerry (Vickie) Sharp, Cindy Jewell, Marguerite (Rick) Moore, Linda (Steve) Scarborough, and James (Mary) Sharp Jr.
Jean enjoys the love of 16 grandchildren, 16 great grandchildren, as well as her many nieces and nephews. Jean will be celebrated by her friends and family at Sentinel Pointe, 2900 Thornhills Ave. SE Grand Rapids, MI on Friday, March 29 at 3pm.